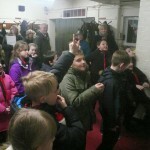 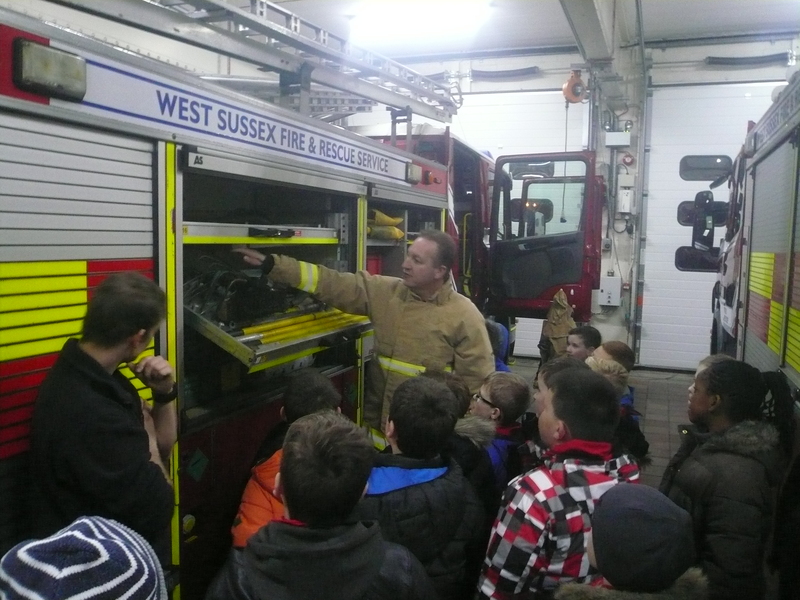 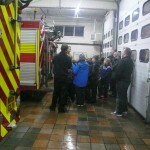 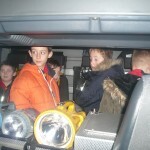 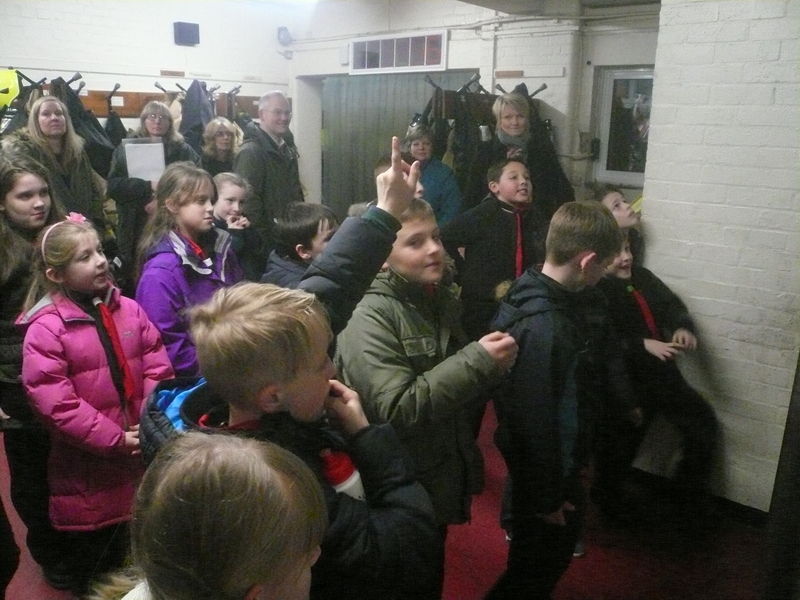 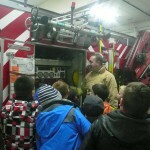 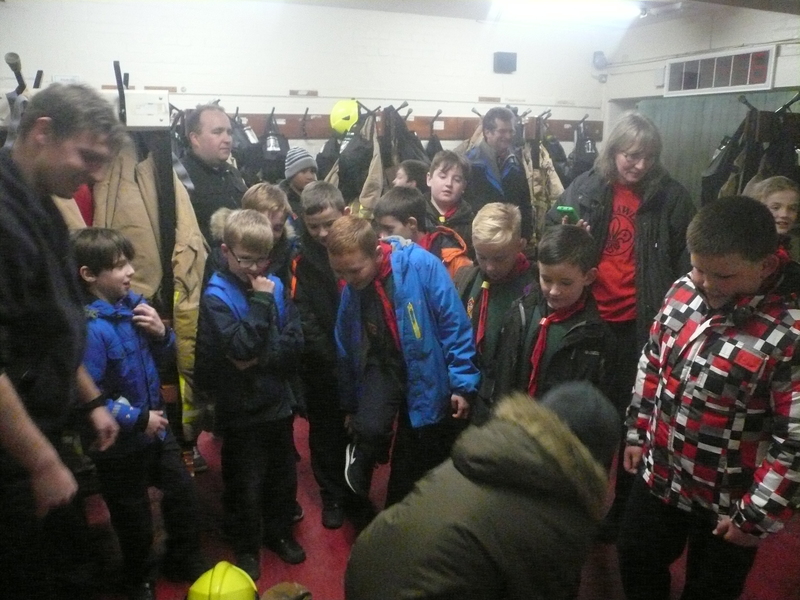 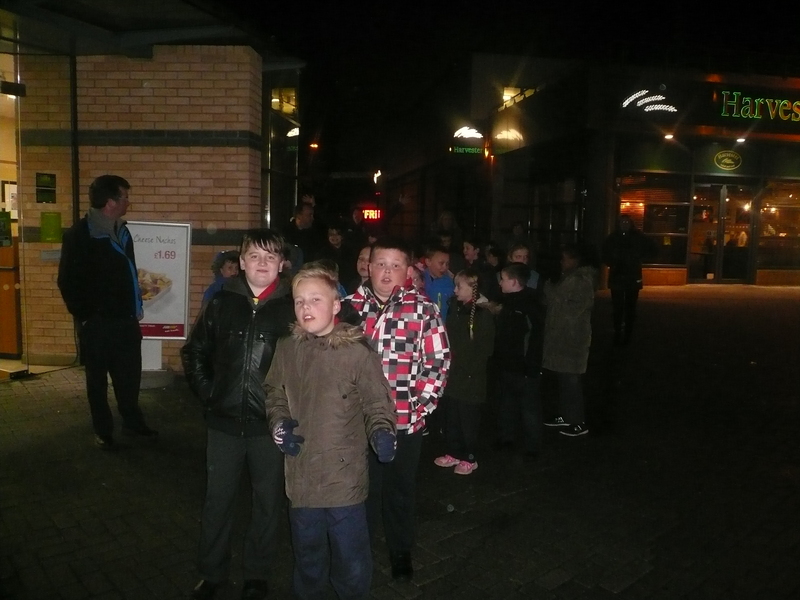 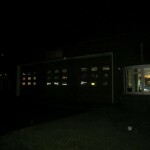 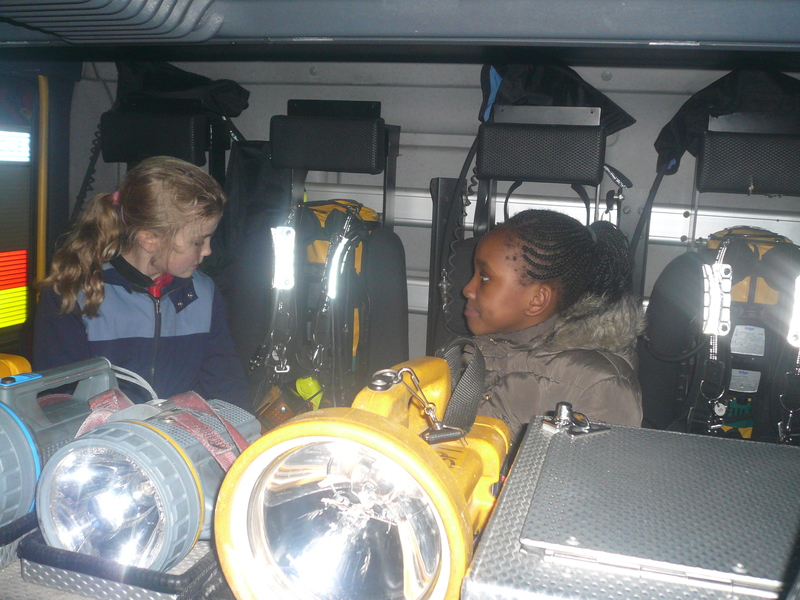 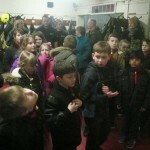 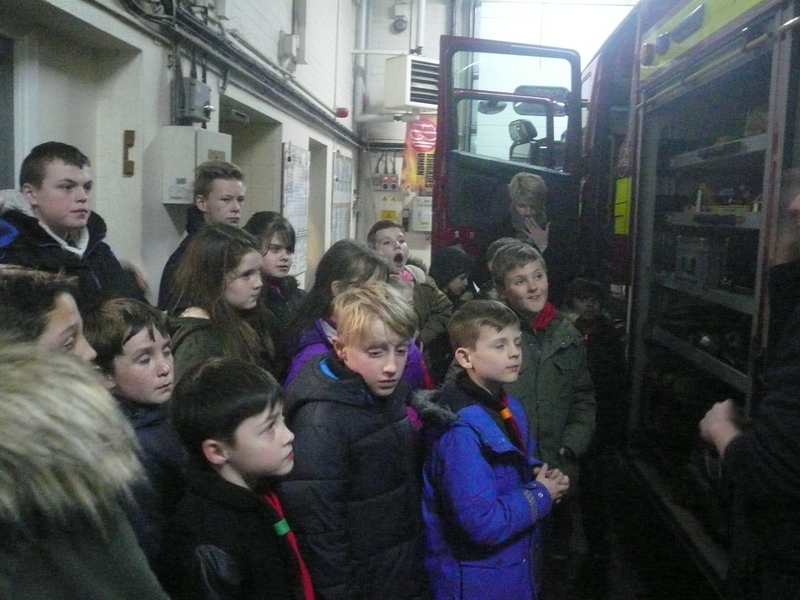 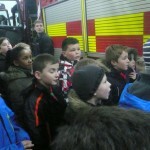 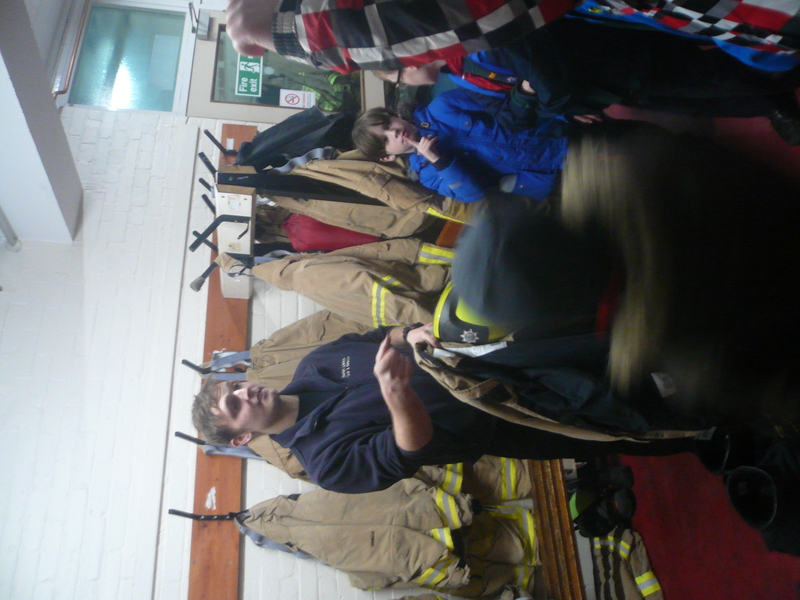 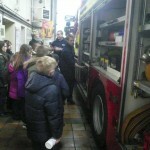 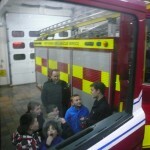 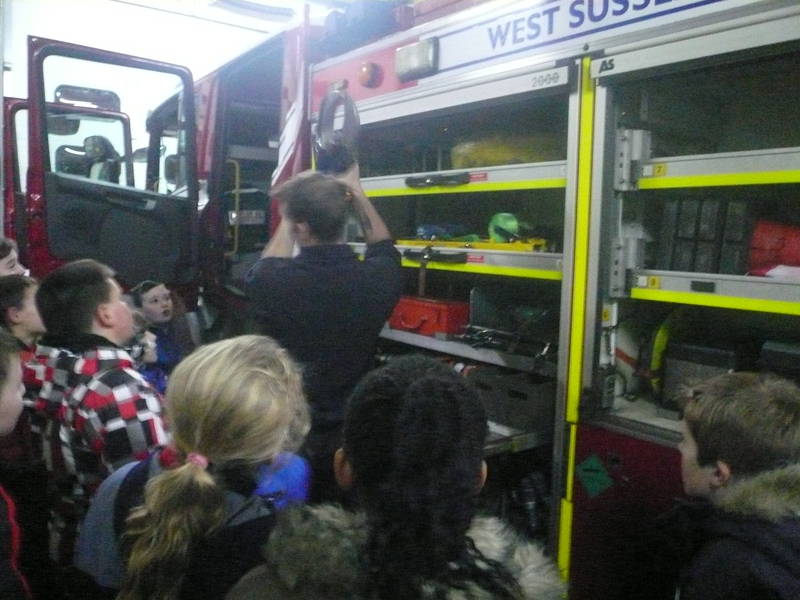 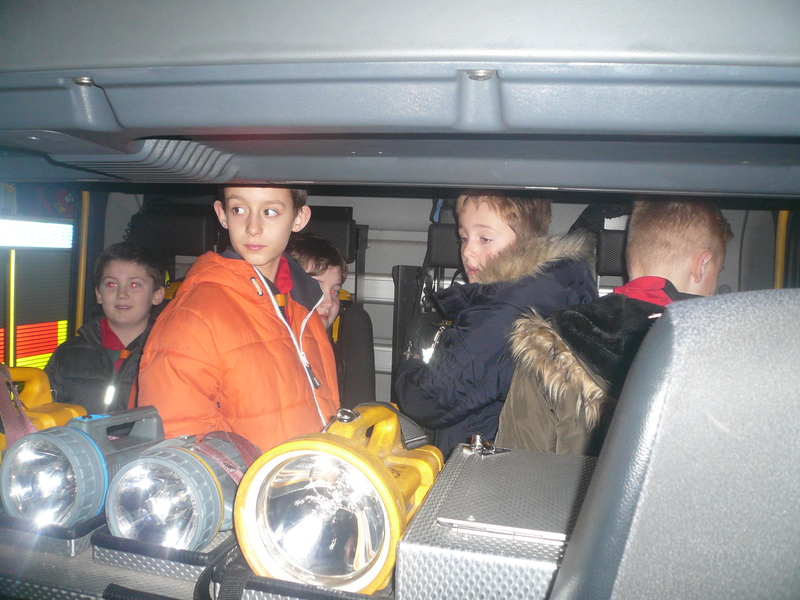 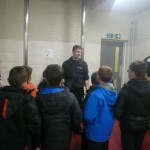 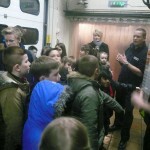 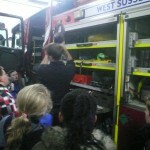 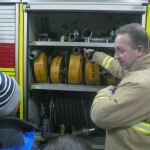 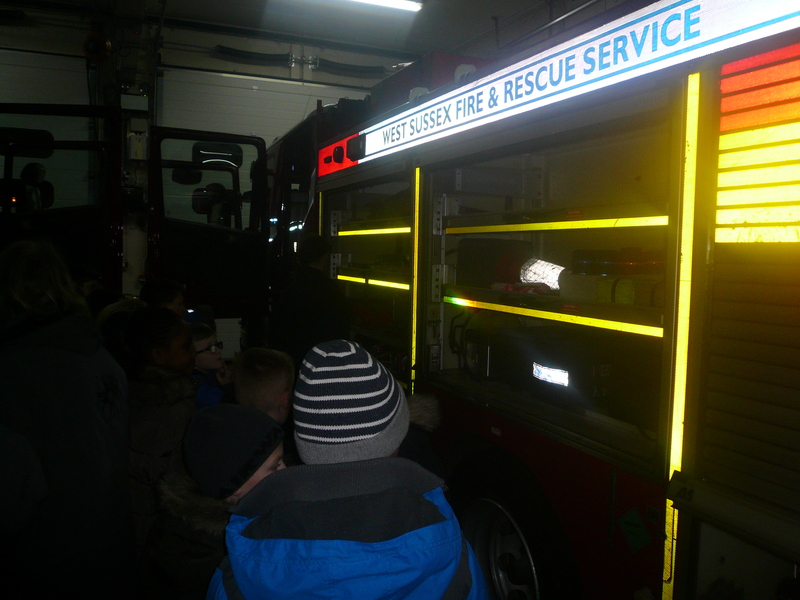 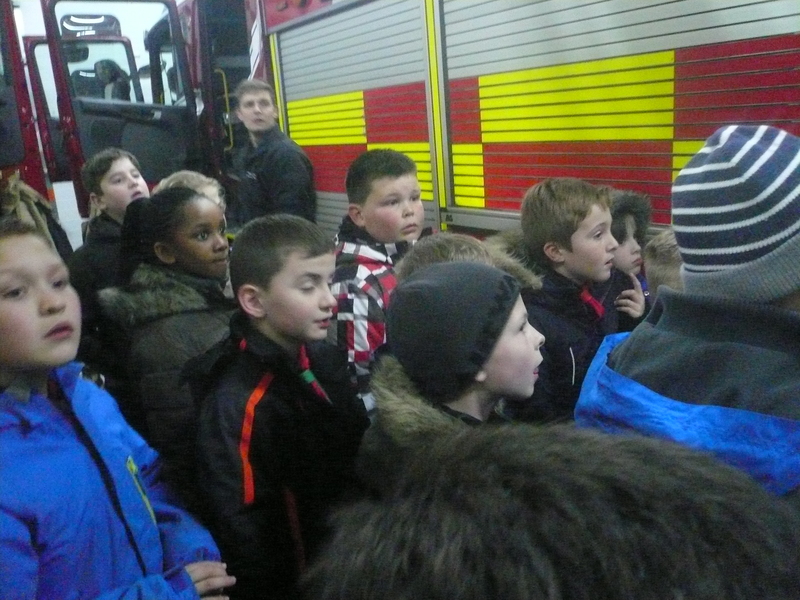 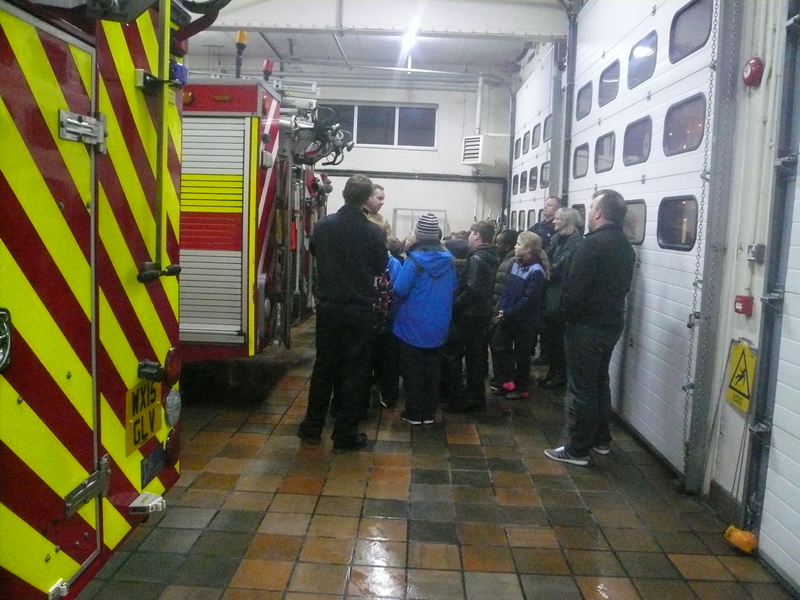 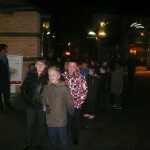 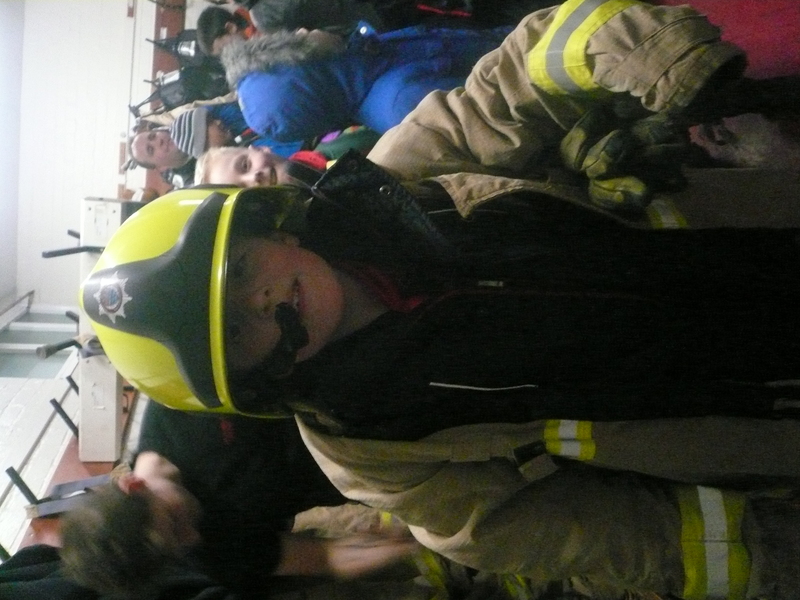 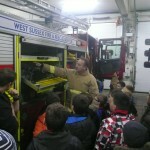 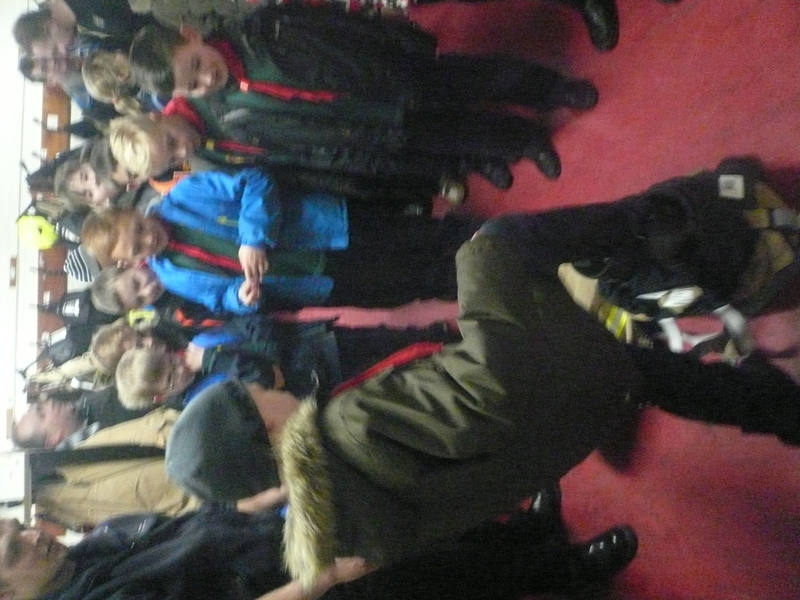 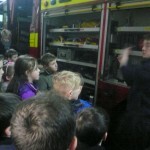 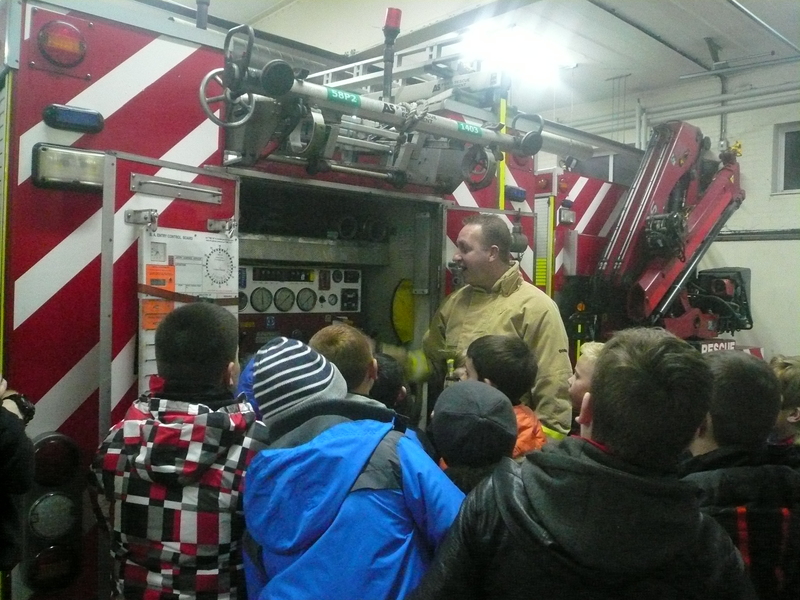 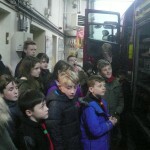 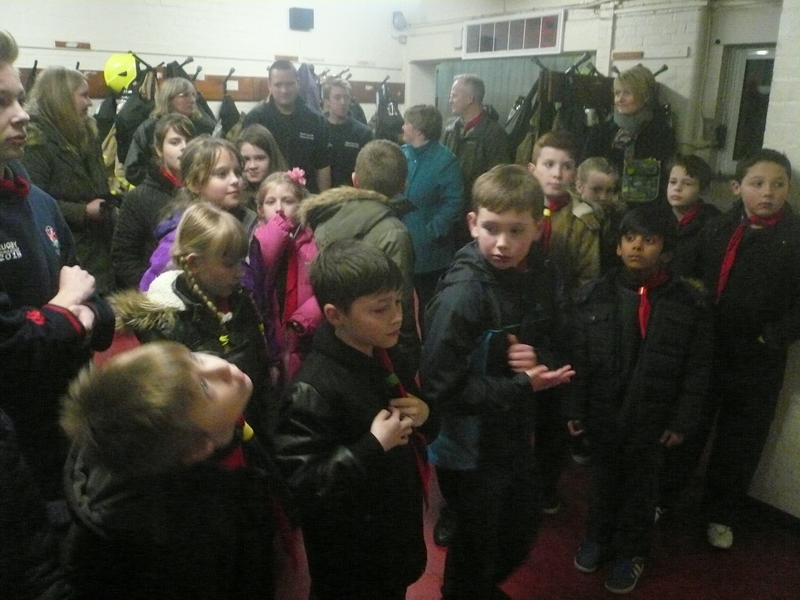 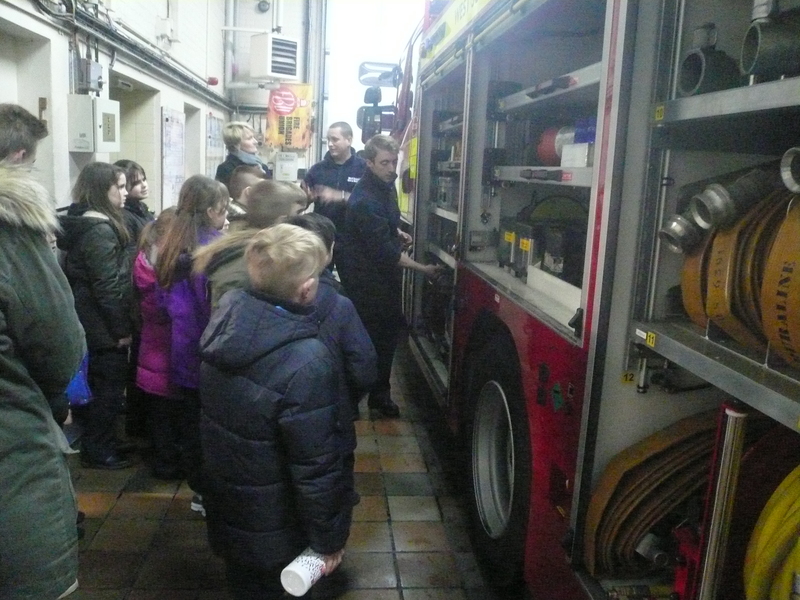 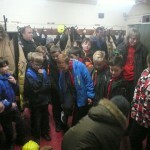 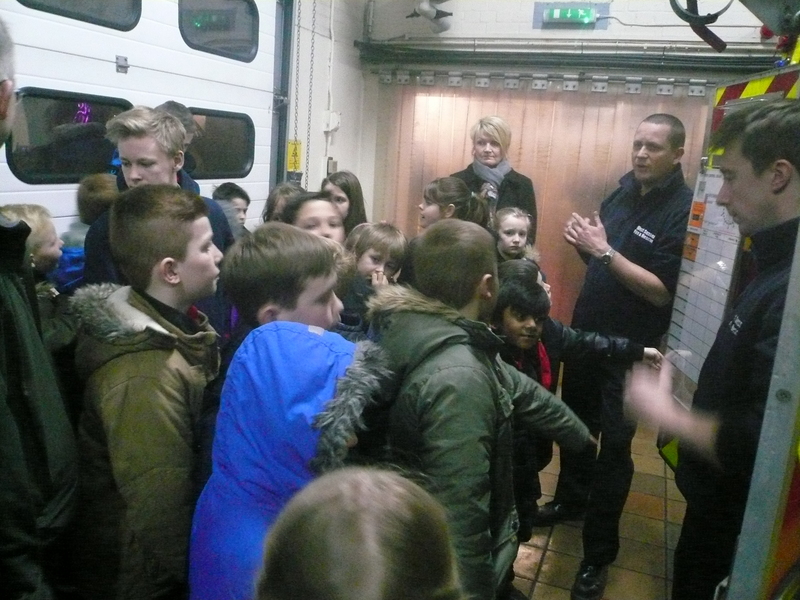 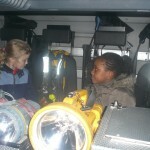 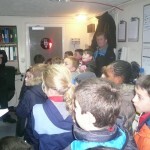 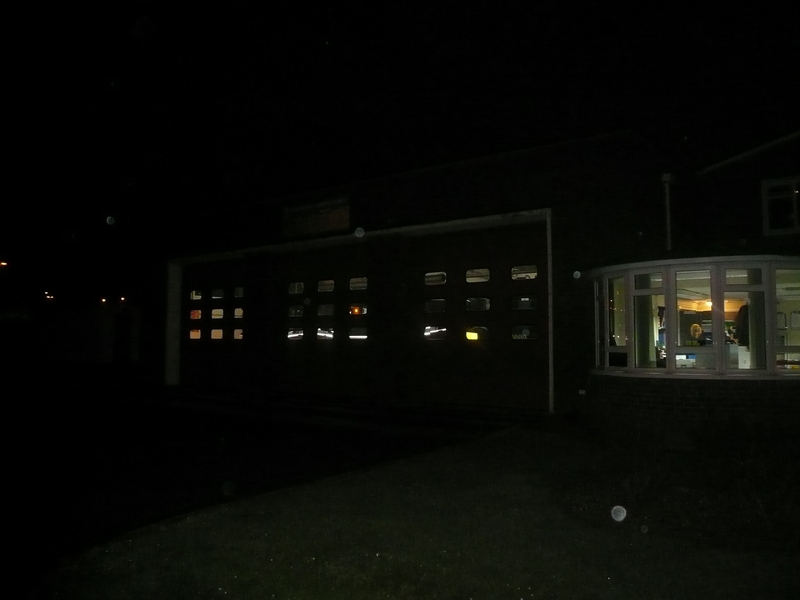 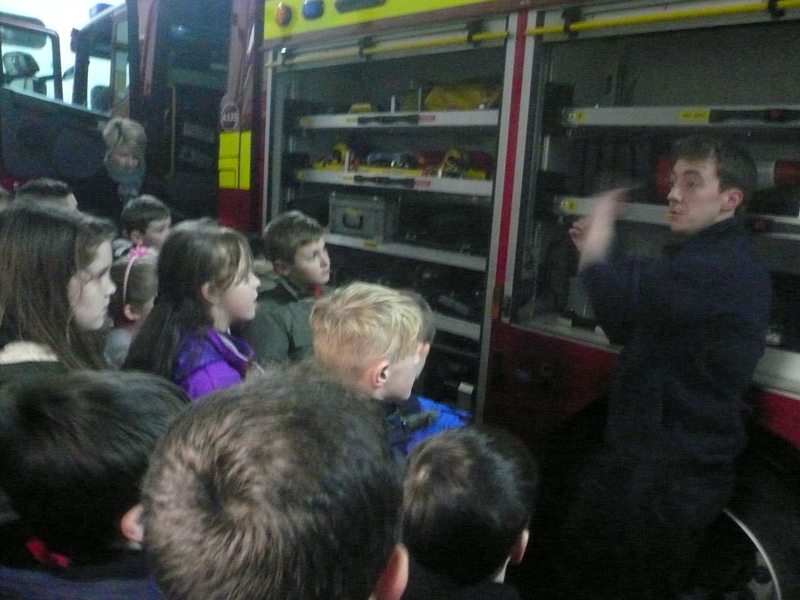 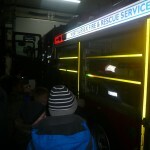 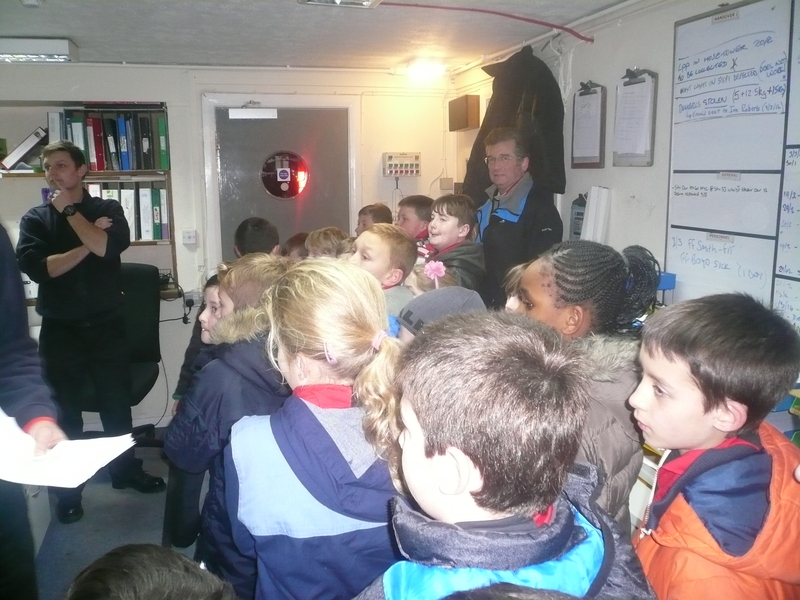 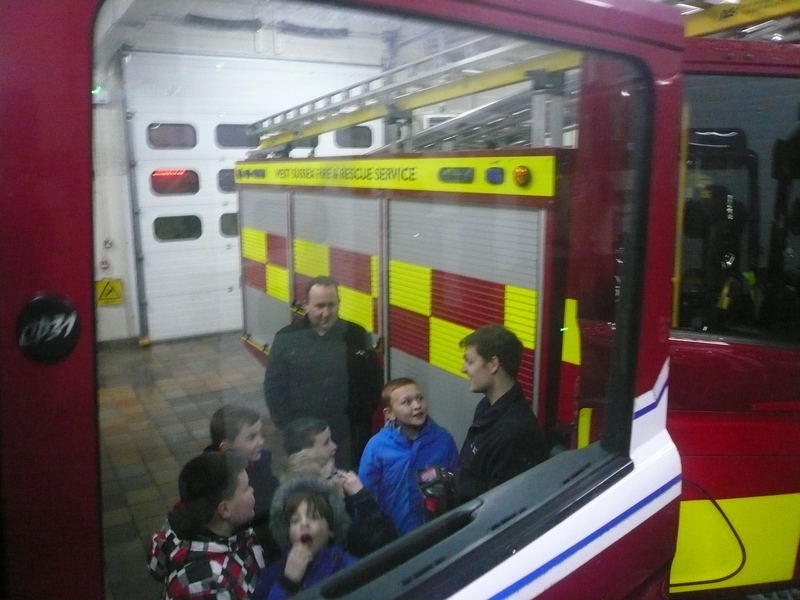 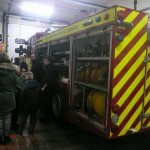 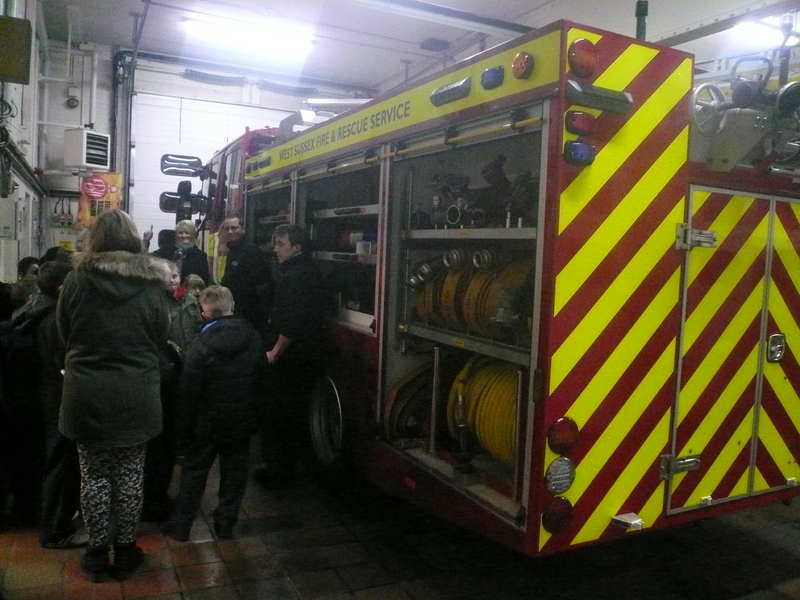 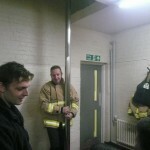 Tonight, as an accumulation to the Fire Safety Activity badge, the Pack visited the Fire Station in Crawley. 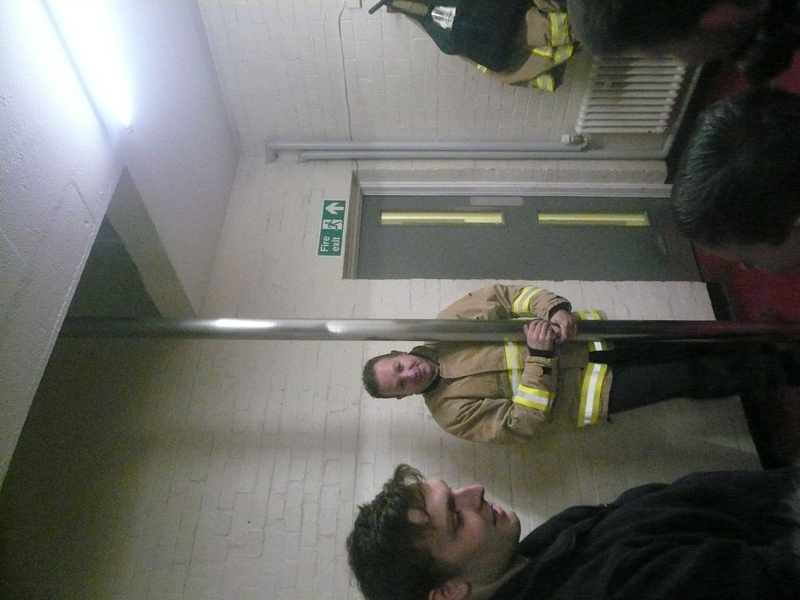 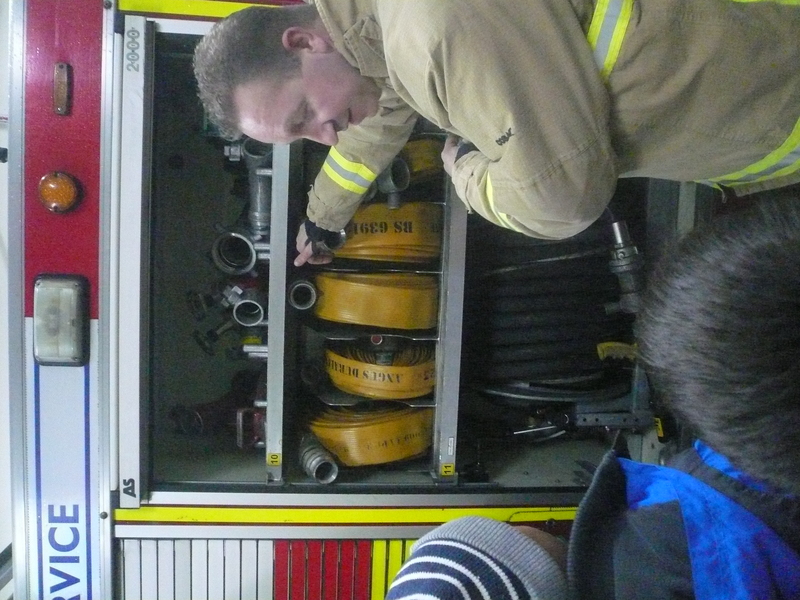 Our thanks to Green Watch (now formally known as “A” Watch) who showed us the ropes……………….. and the ladders, hoses, cutters, elephants foot (yes, you read correctly!) 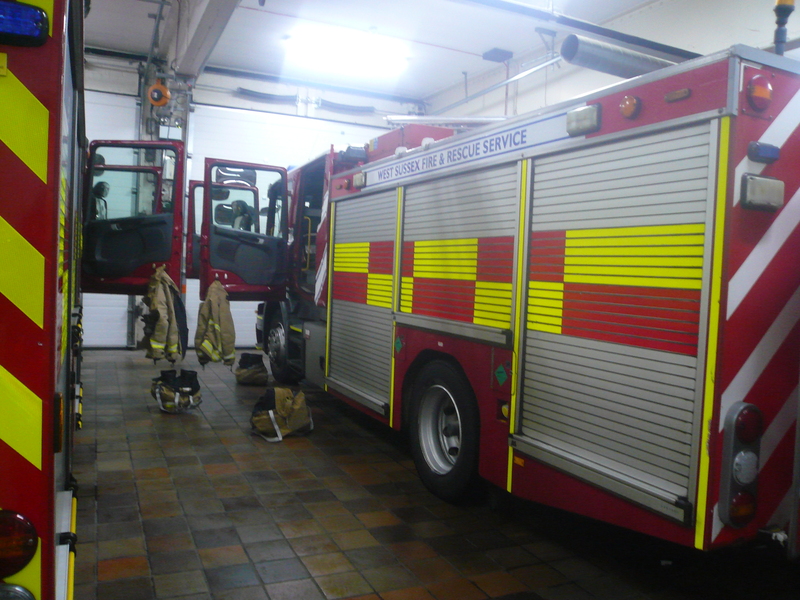 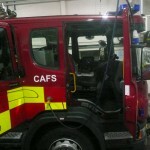 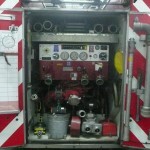 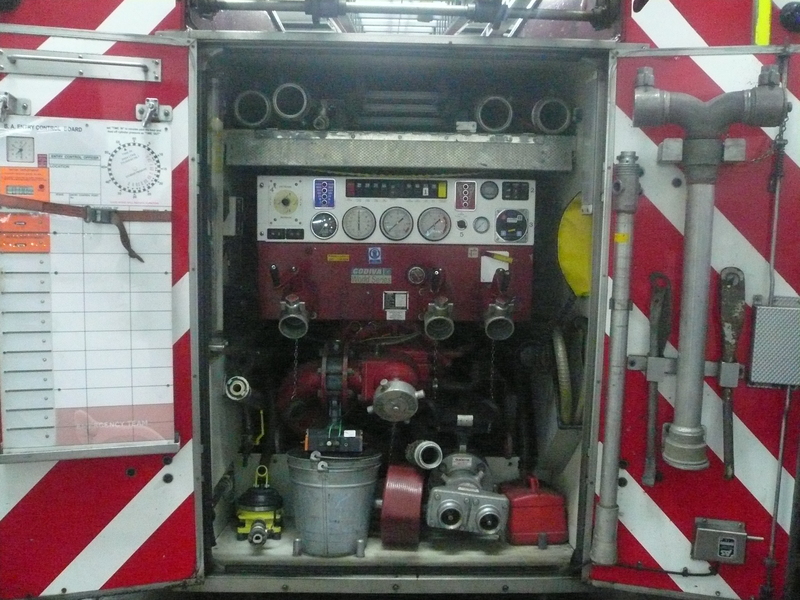 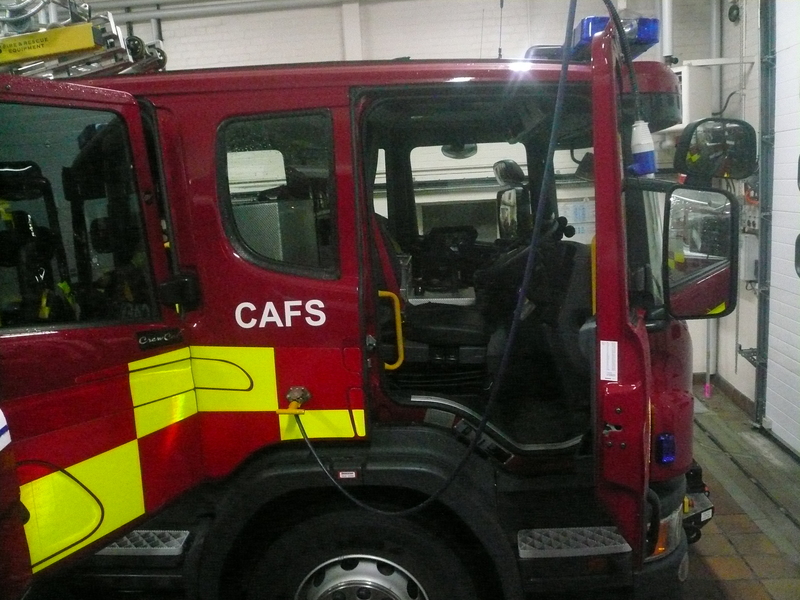 and many, many other tools used on an everyday bases from dealing with fires, road traffic collisions and …………………. 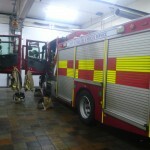 cats up trees! 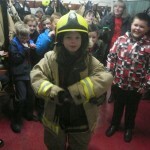 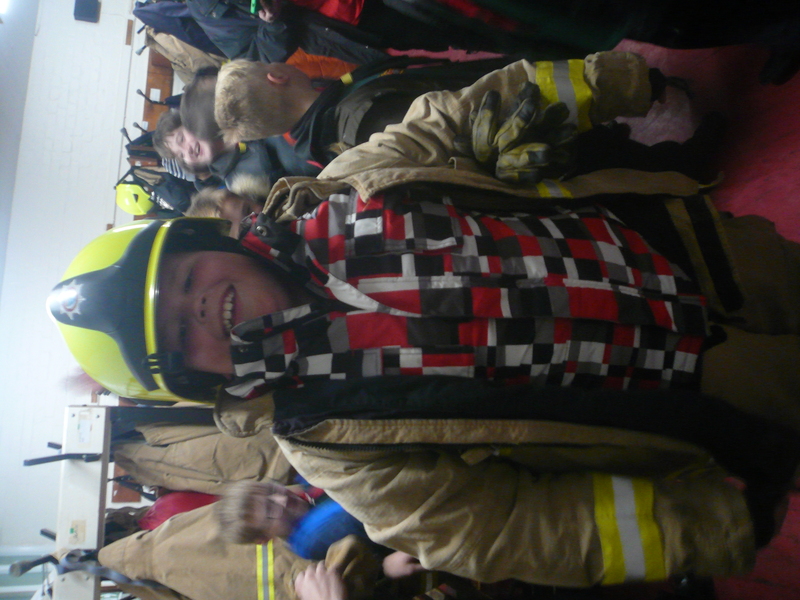 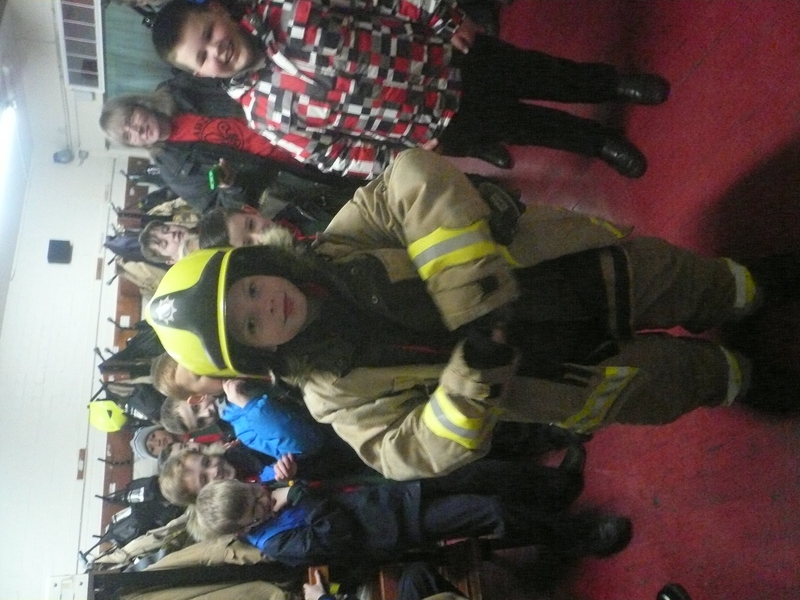 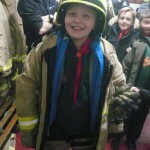 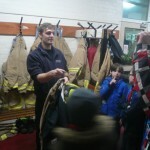 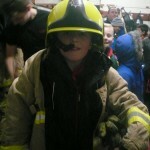 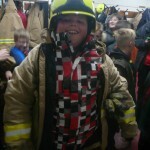 Some of the Cubs had a competition to see how fast they could get all of the cumbersome and heavy firefighter gear on. 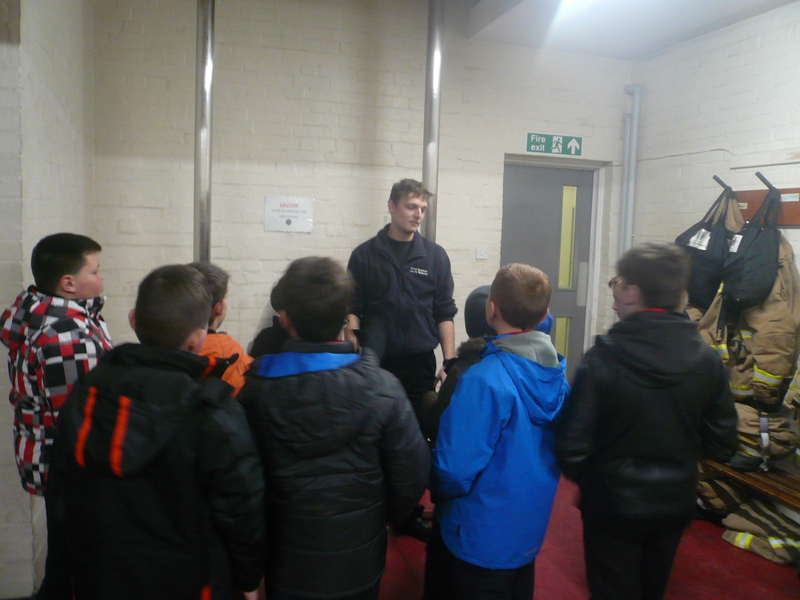 Well done Max for the fastest time! 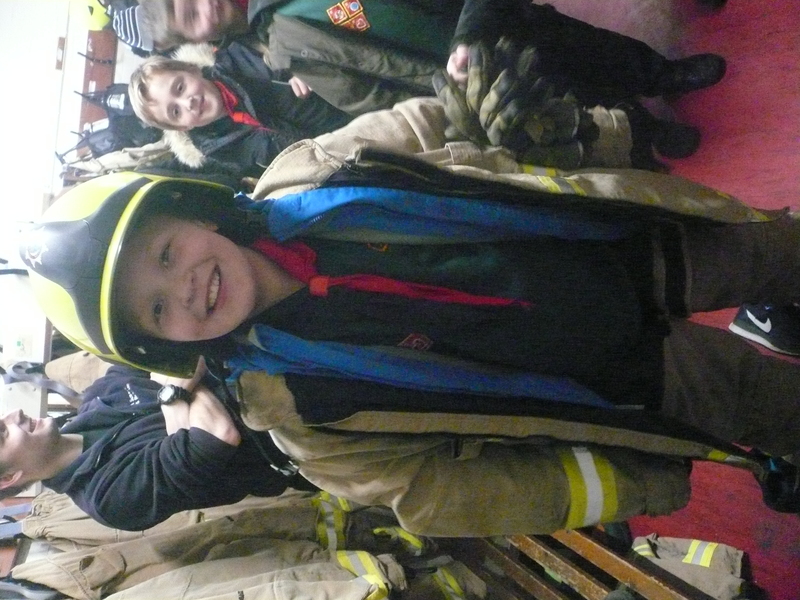 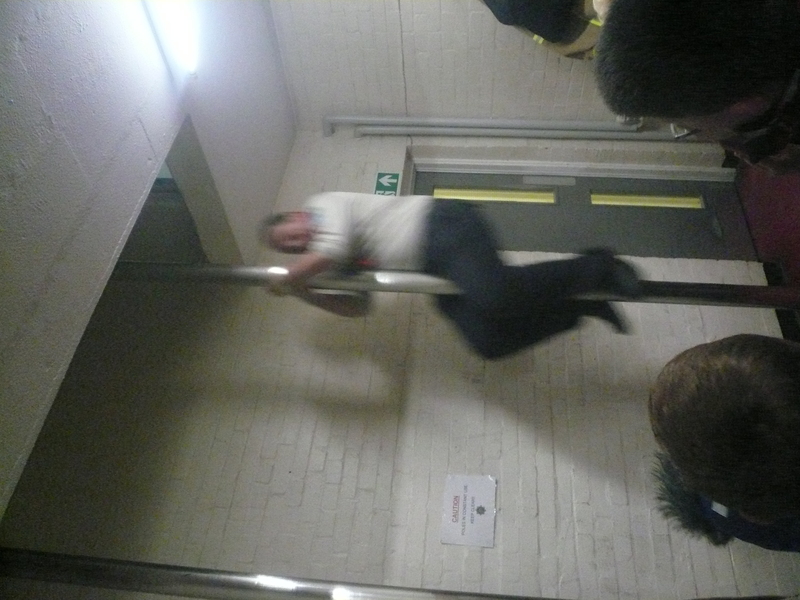 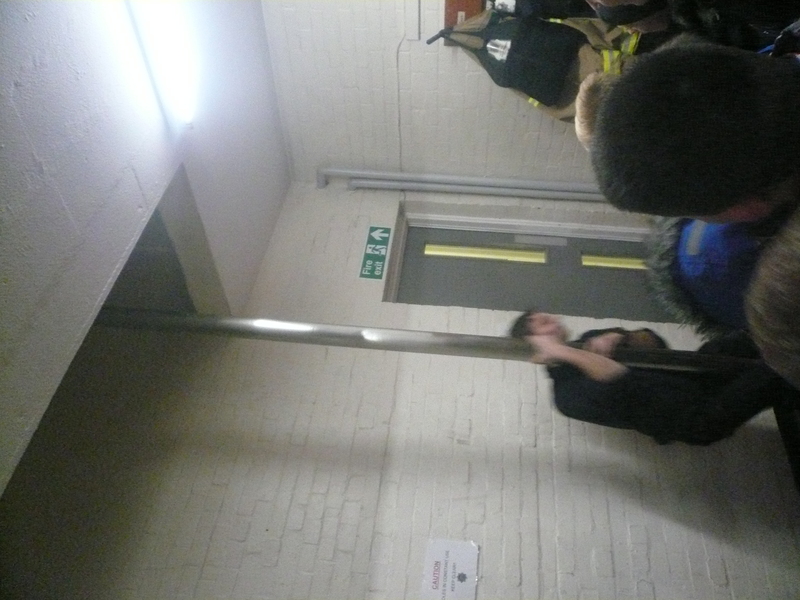 The Cubs had a brilliant time and even persuaded Akela to go down the fireman’s pole! 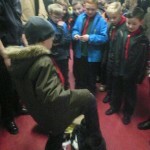 Akela was so fast that he was a blur ………………. 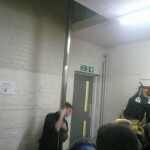 in the photograph anyway!